This science lesson is part one of a three part investigation of what makes LASER light – or the Properties of Laser Light – different from other light. 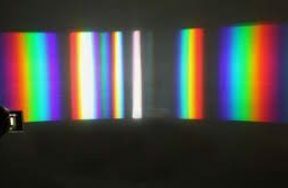 In this lesson, we will demonstrate the monochromatic nature of LASER light by comparing the spectra of white light and colored LEDs to that of LASER light. The other two lessons explore the Collimated and Coherent nature of Laser Light.